Fourth Row Center: Film Writings by Jason Bailey: New on Blu: "The Darjeeling Limited"
Wes Anderson’s The Darjeeling Limited catches the filmmaker in transition, and sometimes feels like it. His first three films, the acclaimed Bottle Rocket, Rushmore, and The Royal Tenenbaums, were all penned with co-star Owen Wilson, but Wilson’s subsequent acting success left him little time to write. Anderson’s first film with his new screenwriting partner, filmmaker Noah Baumbach, was 2004’s The Life Aquatic with Steve Zissou, and critical response was somewhat muted—it wasn’t panned, by any means, but it was certainly seen as a drop after the steady build of excellence in his first three pictures. For Darjeeling, Anderson teamed with Rushmore co-star Jason Schwartzman and filmmaker (and Schwartzman’s cousin) Roman Coppola to write the tale of three estranged brothers on a journey for spiritual enlightenment through India. Light, airy, and somewhat slight, it didn’t quite live up to the hopes of Anderson’s fans. But freed of its release date expectations, and accepted and digested as a “lesser Anderson,” it offers some modest diversion. His intentions to forge new bonds are honorable, and probably honest. But the three men are telling lies and keeping secrets from the moment they reconnect, and one of the stronger qualities of Anderson, Schwartzman, and Coppola’s screenplay is how deeply it drills down into the pettiness, jealousy, and impatience of the multi-brother dynamic (I have three uncles—trust me on this). The trio is constantly splitting into factions, one approaching the other when the third is absent, gossiping and telling stories out of school; the dysfunction is palpable and realistic. Their snappy patter and short, loaded exchanges are mostly done for quiet, subtle chuckles and jabbing passive-aggressive pain, though the eventual physical culmination of their button-pushing—a knock-down fight diffused with generous amounts of pepper spray—is played for explosive laughs, which it gets. But the picture’s mostly low-key comic sensibility allows Anderson to successfully negotiate the eventual turn to more serious themes; there’s an undercurrent of pathos throughout which eases into the foreground without much effort. Anderson’s intricately detailed production design is as attractive as ever, as are his elegant three-man compositions and playful camerawork (including some of his most effective, evocative slo-mo work to date). The film also has some structural cleverness—it runs in a fairly straightforward A-B-C chronology, but an unexpected, extended flashback late in the film is ingeniously done. However, there are some flat moments and genuine pacing issues, including a second act drag that makes the picture feel longer than its slight, 91 minute running time, and some of the sideline bits (like Bill Murray’s appearance) are a bit baffling. 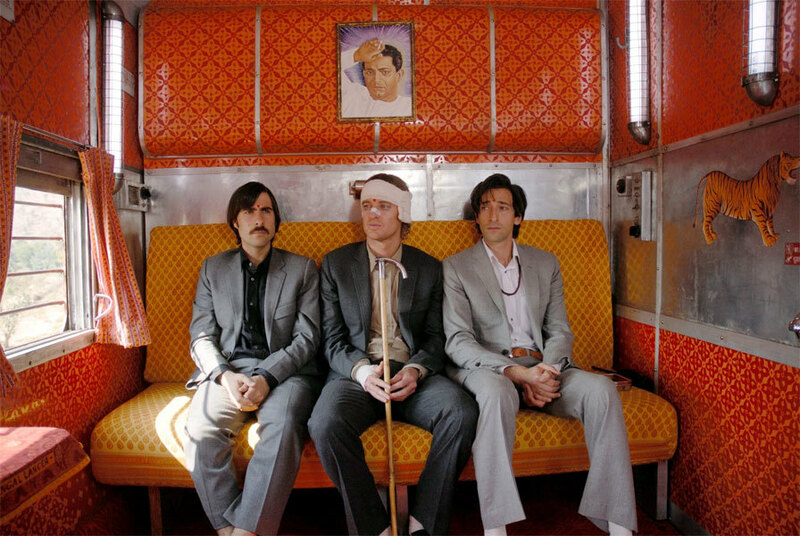 The Darjeeling Limited is ultimately problematic, lacking the clean form and emotional punch of Anderson’s best work. But that’s not to say it isn’t worth your time. Within the Wes Anderson canon, The Darjeeling Limited is a minor work; there is a slightness about it that his other films seldom have. That said, though it may not stand as a fully-developed or entirely rewarding picture, it certainly has its moments—the beauty of the train car sequence at its climax, the cleverness of the desert scenes, the warmth of the closing images. It’s JV Anderson, sure, but even slightly off his game, he’s more compelling than most of his peers. "The Darjeeling Limited" was released today on Blu-ray, and in a new DVD special edition, by the Criterion Collection. For full A/V and bonus feature details, read this review on DVD Talk.